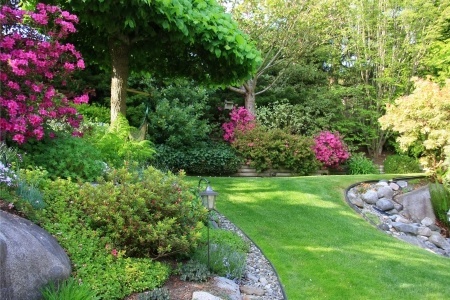 Maintaining an elegant looking yard and landscape is harder than it sounds, especially when you try to tackle it on your own. Flowers and plants living in the forest get rich nutrients from natural compost, but when it comes to manicured lawns and flower beds, knowing how, when, and what kind of shrub fertilizer products to use on your ornamental plants, trees, palms, and shrubs can be confusing. Green Solutions is proud to offer a proven approach to shrub care and palm tree care that provides the excellent plant health and flower bloom that you would expect. Our proven shrub care and palm tree care service was created to provide your ornamentals and shrubs with specific fertilizer applications along with timely disease and insect applications. Our custom blended slow-release granular shrub fertilization will have your shrubs flourishing. We also provide preventative and curative applications for bush and shrub insect control including scale, thrips, white flies, aphids and more. As shrub care experts and Tampa's premier shrub and palm care company, we are looking forward to the opportunity to provide you with quality ornamental plant and local shrub care services. If you have beautiful palms trees that are such an icon of the Tampa Bay area, you might want to consider protecting them from the devastating Phytoplasma diseases like Texas Phoenix Palm Decline and Lethal Yellowing. These diseases are becoming much more common in the Tampa Bay area, and they can decimate some of your favorite palm trees. Our program can prevent these terrible palm tree diseases from affecting your specimen palm trees like Sylvester Date Palm, Canary Island Date Palm, Coconut Palm, Sabal Palm, Dactylifera Date Palm, Christmas Palm, and Medjool Date Palm. Watch the video below if you would like to learn more about these diseases.